Goldman Sachs-backed cryptocurrency start-up Circle will acquire SeedInvest, an equity crowdfunding platform and broker-dealer, reports Antony Peyton of Fintech Futures (Finovate’s sister publication). The firm said this acquisition will accelerate its plans for a token marketplace that enables businesses and individuals to raise capital and interact with investors using open crypto rails and infrastructure. This acquisition and planned new offerings are subject to the U.S. Financial Industry Regulatory Authority (FINRA) approval. Financial details have not been disclosed. Headquartered in New York City, SeedInvest has the “largest” equity crowdfunding platform in the country. To date, SeedInvest has helped hundreds of start-ups raise capital online and has a network of over 200,000 investors. In addition, the company has generated triple-digit annual revenue growth while reaching profitability. Circle said the SeedInvest product includes capabilities needed for executing regulated crowdfunding, such as start-up due diligence, securities issuance, investor accreditation, payments, and securities custody. With the merger and approval from regulators, these capabilities will be expanded to support crypto-denominated investments including using fiat stablecoins such as USDC, as well as issuing and offering tokenised securities. SeedInvest will add 30 team members to Circle’s New York location. Founded in 2012 by Ryan Feit and James Han, SeedInvest demonstrated its equity-based, crowdfunding platform at FinovateSpring 2013. During the demo, Feit and Han highlighted a number of key features of the platform, including its due diligence dashboard, virtual boardroom, and its Simple Invest technology which provides an instant identity check, legal document execution, and streamlined funds transfer. Prior to the company’s acquisition, SeedInvest had raised $11.4 million in capital. Avenue A Ventures, Great Oaks Venture Capital, Scout Ventures, and Jumpstart New Jersey Angel Network are among the firm’s previous investors. BancVue’s Kasasa Spreads to 1,800+ Client Branch Locations Across 46 U.S. States. NerdWallet lists Lendio as 1 of 7 great small-business loan options for women-owned businesses. Credit Sesame wins Gold Stevie Award in 2015’s American Business Awards. PayPal and Uber extend their partnership to additional 9 countries, now in 19 total. Backbase adds Geezeo’s PFM to its Open Banking Marketplace. Equities Lab integrates with Tradier Brokerage. FIS to provide and manage banking and payments platform for U.K. start-up bank, Atom. Insuritas wins NAFCU 2015 Services Innovation Award. DriveWealth helps trading software technology company, KnowVera, develop video course on pattern recognition. e-SignLive by Silanis to develop joint, cloud-based solution for digital transactions in new partnership with Australia’s Nuvola. Jim Cramer of CNBC’s Mad Money interviews SeedInvest CEO Ryan Feit. Nutmeg launches its first personal pension plan. Misys wins award for “Best OMS Provider” at MENA Fund Manager Services Awards with its FusionInvest technology. USA Today Technology interviews Loop CEO Will Graylin about his company’s acquisition by Samsung. Barron’s takes a look at what’s new with Blooom. ACI Worldwide to deploy Self Service Business Banking, Mobile, and Billpay solutions at Apple Bank. Mad Money’s Jim Cramer interviews SeedInvest CEO Ryan Feit. LA Times features Green Dot and its efforts to engage the “unhappily banked” with its prepaid cards. Bank of Ozarks implements Premier banking solution from Fiserv. Taulia expands management team with 4 new members. Recent partnership enables Synergy Resources clients to integrate Expensify with their Infor VISUAL back-end. City of North Las Vegas partners with PayNearMe to enable residents to pay bills in cash at 17,000 retail stores. Patch of Land turns to SeedInvest in public fundraising effort for its seed round. Quantopian raises $15 million in Series B round; launches crowdsourced hedge fund. MasterCard teams up with Zwipe to launch credit card with fingerprint-based authentication. Arroweye Solutions increases payment card security against hacking threats. Emida partners with Defense Mobile to distribute its mobile solutions through Emida’s network of distributors. BlogTO looks inside the offices of Nymi during an open house. Google Cloud Platform launches simpler billing. And as the second quarter draws to a close, it’s clear that a comparable cohort of alums have kept the pace. Over the course April, May, and June, 28 alums raised significant amounts of capital ranging from Gremln’s $100,000 to the $65 million raised by Lending Club. The quarterly total of $594 million is almost exactly the same as the previous quarter. And given that some amounts are undisclosed (I’m talking about you, Holvi, RevolutionCredit, and Tuition.io), we’re confident that Finovate alums have notched their second $600 million fund-raising quarter in a row. How does this compare with the less recent past? Very well, indeed. In the second quarter of 2013, 15 alums raised more than $200 million. This was a major improvement on the second quarter from 2012, which featured 14 companies raising more than $120 million. Matchi announces signing sponsorship agreement with Standard Bank Group. Intuit’s PayByCoin integrates Quickbooks Online with Coinbase to allow merchants to accept bitcoin. RevolutionCredit is among six startups presenting at the 2014 FinTech Innovation Lab in New York. Trustly partners with PayPal to facilitate direct payments for online bank customers in Sweden and Denmark. Acculynk joins with Navicure to offer payment platform for healthcare providers. 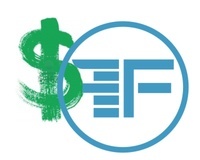 500 Startups teams up with SeedInvest to raise money for $100 million Fund III. A review of digital ID technology by the Economist includes a nod toward miiCard. That’s the strategy of crowd funding specialist, SeedInvest, which announced today that it is seeking to raise the balance of its $3 million Series A round from its own community of investors. SeedInvest has $2 million already invested, courtesy of investors such as Archer Gray, Avenue A Ventures, Great Oaks Venture Capital, Krillion Ventures, and Scout Ventures. The company is gearing up to take advantage of a key feature of the JOBS Act that will allow non-accredited investors to participate in crowd funding platforms like SeedInvest later this year. Feit pointed specifically to the new funding as enabling the company to service what he expects to be a significant increase in the number of potential new investors. An equity crowd funding platform, SeedInvest focuses on directing investors toward startups and small businesses that are seeking funding. Among the companies that have received investment via SeedInvest are Vengo, a POS kiosk for digital media, and CapLinked, a PayPayl-like platform for businesses. SeedInvest was founded in January 2012, and is based in New York City. SeedInvest demoed its technology at FinovateSpring 2013 in San Francisco. See their video here. And for more information about our upcoming FinovateSpring event, April 29 and 30 in San Jose, visit our FinovateSpring 2014 page. PYMNTS looks at how Ripple hopes to build a global payments network. FIS acquires CMSI, provider of consumer loan origination and portfolio management software. CNBC’s Squawk on the Street interviews Dashlane CEO Emmanuel Schalit on Heartbleed. SeedInvest raises $2 million in crowd funded investment campaign. Ignite Sales wins 2014 Monarch Award for its Profitability Dashboard for OmniChannel Measurement.